We've seen an increasing number of smartphones and Pocket PCs with integrated GPS chips recently, but many of them don't come with satellite navigation software pre-installed. ALK's CoPilot Live 7 (£83 inc. VAT) provides both software and mapping, and comes in the form of a Micro-SD or SD memory card. 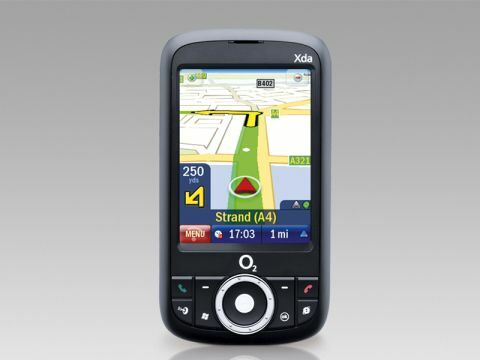 It's also available with an exteranl GPS chip and in-car kit for £150. The maps are sourced from Navteq, and look similar to those of many dedicated sat-nav devices. Our review sample came with mapping for the UK and Ireland, but you'll also be able to buy additional maps from £99. The size of the on-screen buttons are dependent on the size of your handset's screen, but with the menu split into several pages, the buttons on our test unit were large enough to use without resorting to a stylus. Full postcodes are supported, and you'll also be able to enter destinations by address or by thousands of POI (Points of Interest). We found the mapping clear and easy to follow, with both 2D and 3D viewpoints available. Speed camera warnings are included as standard. If you install the software on a handset with a mobile connection, you'll be able to use the CoPilot Live Traffic Service, which costs £35 for a two-year subscription. Another useful feature is the Live Location Tracking Service. This can use your phone or handset's GPRS internet connection to report your location to ALK's website, letting other people log-on to track your location. As with the Live Traffic Service, you may have to pay extra for internet usage, depending on your network and tariff. Although the cost of the additional features may put some people off, CoPilot Live 7 is a great package, turning your handheld into a satellite navigation device. The online tracking service also makes it a great tool for businesses.